We Got Each Other is a weekly discussion series that focuses on black male undergraduate student success in college and beyond. 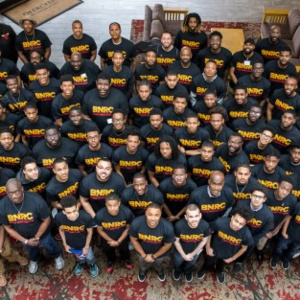 The gatherings provide a welcoming space for fellowship, connection and support and discussions are facilitated by Black male student leaders, faculty and/or staff. Topics vary from week to week, but are primarily focused on what it means to be a Black male at BGSU, career development, the pitfalls as well as the triumphs, how to use the resources, how to ask for help, how to deal with pressures from home, and what it takes to graduate. Topics have ranged from “bringing the hood to campus”, perceptions of “smart” Black males, dating and relationships to current/world events such as domestic abuse, immigration, police violence, homelessness and more.